Finishing up on the motor well area. 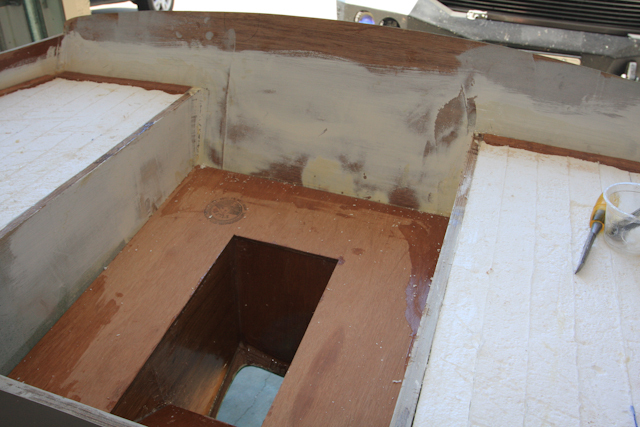 Support pieces have been added to the transom and upper rear deck to attach the cover. The motor well has been sealed and a thick coating of epoxy put on. 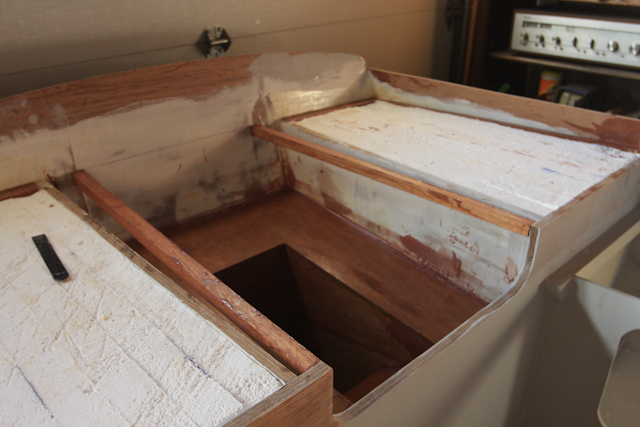 Still more sanding to do, cutting of the rear decks and priming. Looking really good. A lot of hard work but you will cherish every moment when you are done. Good Luck ! I look forward to see your finished project. I like what I am seeing. You are making quite a nice progress. Keep it up. I know it will surve you well. Building the Alice Gale continues to be a rewarding experience. 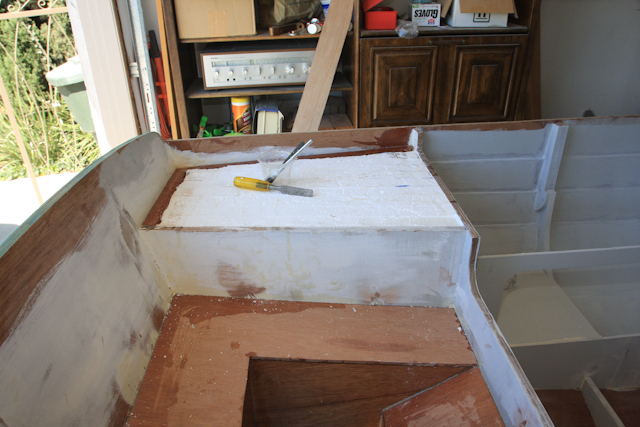 I spend as much time standing around and admiring the boat, not so much my work, as the way a boat takes form and function as you build. Your build is looking great! Looks like you’ve done a really top-notch job so far. Have a few questions for you about my own Ebihen build but I’ll email you for those. I will look forward to your questions. Feel free to ask on the blog as other builders may find the questions helpful. I would also like to see photo’s and building details of your Ebihen if possible. A photo album on Flickr or another blog on the Ebihen would be great information.